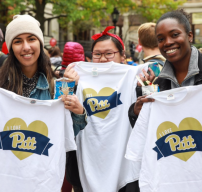 The University of Pittsburgh is home to a vibrant and diverse community, both between faculty, staff, students, and alumni, as well as between all campuses. Our ever-growing community is full of achievers in academics, athletics, and research, where we are consistently recognized for our excellence. Pitt's history is full of successful researchers, scientists, athletes, doctors, and more who have all made the University of Pittsburgh the internationally-recognized institution it is today. Ranked among the top 5 percent of 1,000 universities in 65 countries, Pitt is home to more than 5,300 part- and full-time faculty, more than 7,200 part- and full-time staff, and nearly 800 research and post-doctoral associates. Over 25,200 undergraduate, 7,000 graduate, and 2,000 doctorate students study at our 5 campuses. Our numbers are constantly growing at Pitt! Explore more facts and figures in the 2019 Fact Book, compiled by the Office of Institutional Research. Founded in 1787, Pitt is one of the country’s oldest and most prestigious institutions of higher education. 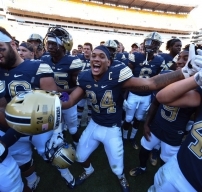 Pitt people have defeated polio, unlocked the secrets of DNA, lead the world in organ transplantation, and pioneered TV and heavier-than-air flight, among many other accomplishments. From research achievements to the quality of its academic programs, the University of Pittsburgh ranks among the best in higher education. Faculty, staff, students, and alumni have all been pioneers in history and have earned awards, recognitions, scholarships, and championships, for their hard work in academics, research, athletics, and more. Pitt has been called a "world class research university" with an "unwavering commitment to excellence," and has ranked several times as a top institute in the nation. Discover our achievements. Whether you're new to Pittsburgh or not, this visitor guide will help you enjoy all that the city has to offer, including fun for families, tours and museums, and all the best restaurants in the Pittsburgh area.